What Are YouTube Cards & How Are The Cards Used? YouTube cards complement videos and can enhance viewer experience. They can be leveraged to gain valuable feedback from your customers, as well as promote call-to-actions. 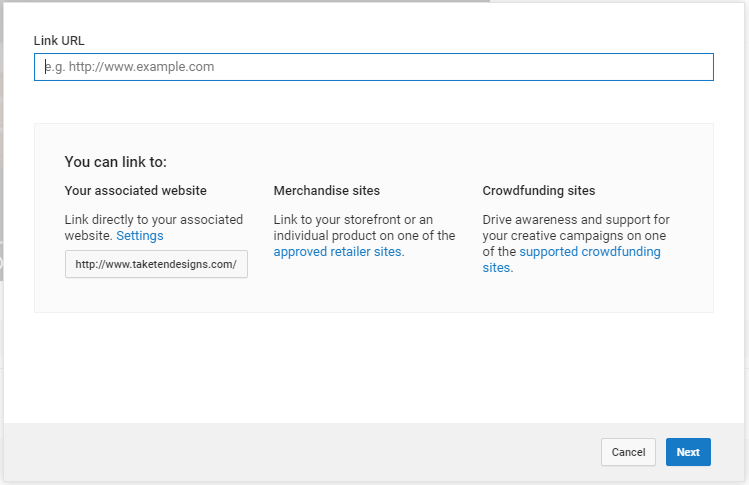 Link Cards: Link directly to your website from the video. 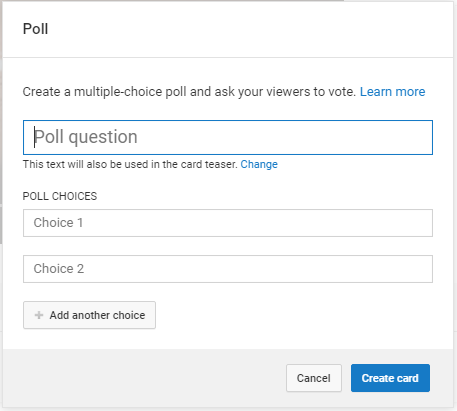 Poll Cards: Offer viewers ability to vote on different options. 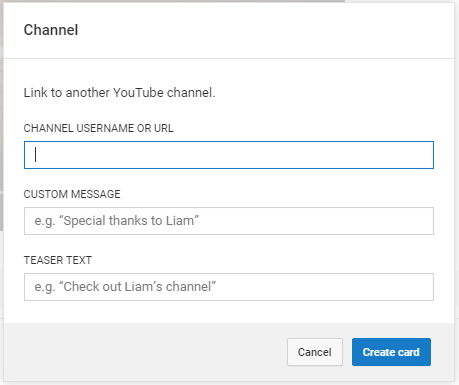 Channel Cards: Link to a YouTube channel you want to show your viewers. Fan Funding Cards: Offer viewers opportunity to make a monetary contribution directly on the video page. Donation Cards: Viewers can donate to a nonprofit organization you support. 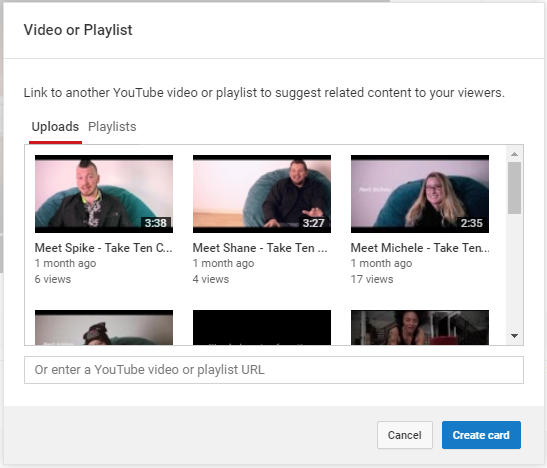 Video/Playlist Cards: Link to another YouTube video you think your viewers will be interested in.